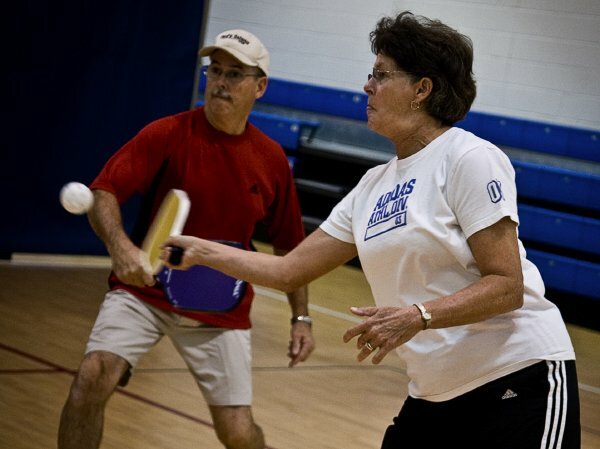 In small pockets across the Carolinas, pickleball has developed a devoted following. Next year, it will be introduced as a sport in the North Carolina Senior Games. And in Hope Mills, the sport billed as the "fastest-growing sport for people over 50" has found a following. Why? For openers, it's fun ... occasionally confusing with its oddball paddles and a ball that refuses to go quite where you aim ... but fun. It's also a great way for older athletes to maintain, or recapture, their competitive spirit. Pick-up pickleball games are Tuesday from 9:30 to 11:30 a.m. and Thursday from 1:30 to 3:30 p.m. at the Hope Mills Recreation Center, 5776 Rockfish Road. Anyone 50 or older is welcome. Paddles and balls are available for newcomers. A free pickleball clinic will be held Nov. 27 from 9:30 to 11:30 a.m. For information, call 425-6707.